The Diamond Star Maricel Soriano’s big comeback movie. This 2013, two of the biggest stars in the industry were tied to make a wonderful and fantastic movie named “Momzillas”. Eugene Dominggo and Ms. Maricel Soriano will combine together for this one big project, directed by the Blockbuster director, Wenn V. Deramas under the production of Star Cinema and Viva Films. Billy Crawford and Andi Eigenmann will give us fun as well; this film is still a part of the Star Cinema’s 20th Anniversary presentation. This is a comedy movie filled with riot and fun! Watch out! Momzillas is a story of two women with a rivalry in the past. Maricel Soriano will be playing the role of Clara while Eugene Domingo will play for Clara. These two had a conflict years ago because they fall in love to a single man. It happened that their son and daughter were lovers too. They are about to get married but their parents tend to disagree because of the past. They both make pabonggahan to the max. It came to a point that Mara and Clara were isolated in a remote island after a tragedy and there, they reconciled and had built friendship. Their family thought that both of them were dead. When they got home and with the decision to support their children’s marriage, sad thing was Elwood (Billy Crawford) and Rina (Andi Eigenmann) are in the risk of separation. 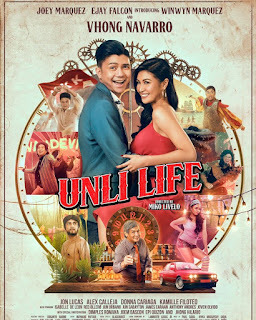 Other movie casts includes Candy Pangilinan, Divina Valencia, Luz Valdez, Mel Martinez, Atak, Eagle Riggs, Joey Paras, Charles Yulo, Paul Jake Castillo, Karen Dematera, Tess Antonio, Vince de Jesus, Eri Neeman, Jeff Luna, Cristine Reyes and Christian Vasquez. Catch Momzillas this September 18, 2013 on cinemas nationwide. See you all there!